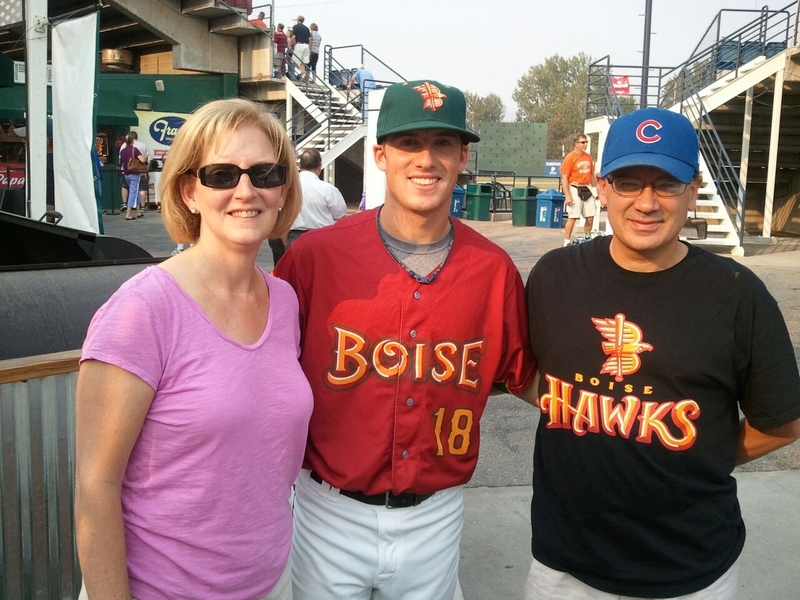 YOUR Boise Hawk, Matt Iannazzo, is a striking pitcher to watch. It may be his size or maybe it is just the personality, confidence, and passion that he puts into every pitch, but there is something magic there. Iannazzo is a 22-year-old lefty who left his mark on the University of Pittsburg setting school records with 28 wins and 342 innings pitched. Before playing for Pittsburg, he got his start at the age of 5 playing on his older sister’s, Cori’s, baseball team. It wasn’t “allowed,” because he was too young, but because his father was the coach, they made it happen. Iannazzo started out playing with a Ninja Turtle glove because it was the only left handed glove that his parents, Jeff and Karen, were able to find. I guess it worked!